This place changes a lot. Last time I visited, it had changed from international cuisine to a "the chef likes chilli" restaurant. At such a restaurant - I've seen more than one - everything is loaded with chilli, because the chef likes it. This visit, the menu seems to have returned to more international cuisine. 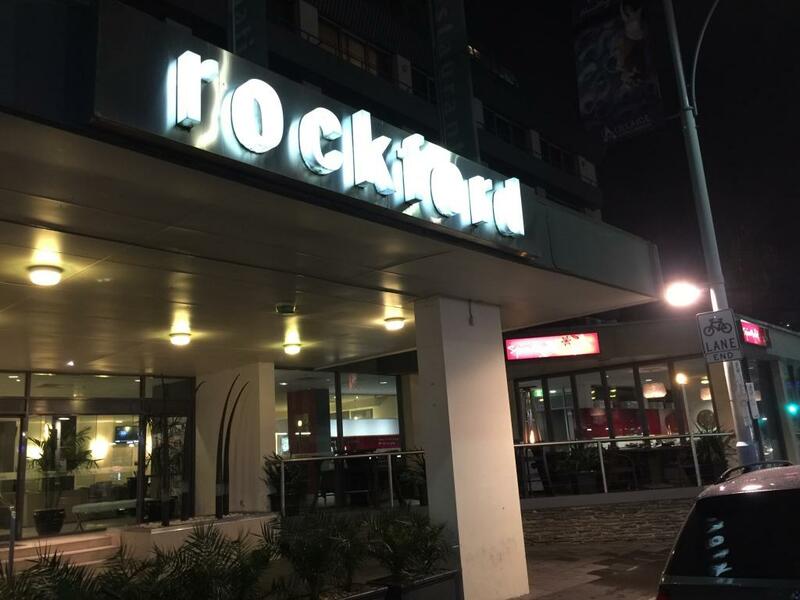 Probably more appropriate for the restaurant of the Rockford Hotel, where it's situated. 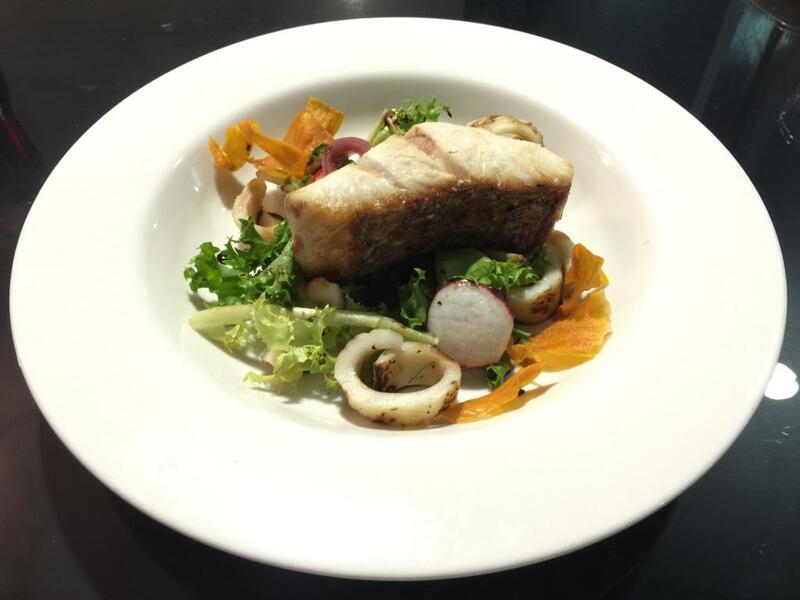 Pan seared, served with grilled marinated calamari, pickled onions, radish & endive salad. The fish is slightly chewy, but I assume this is just peculiar to mulloway. The fish has almost no flavour. I'm not sure I've ever had fish that I wouldn't be able to tell was fish, if I were blindfolded. If I were blindfolded, I'd probably spill my feed on myself, so I don't do it often. The fish has simply been seared in a pan. This might've worked out if there were some kind of seasoning. But there isn't. The basic calamari salad that surrounds the fish is passable. It, at least, has a bit of flavour from some balsamic vinegar. 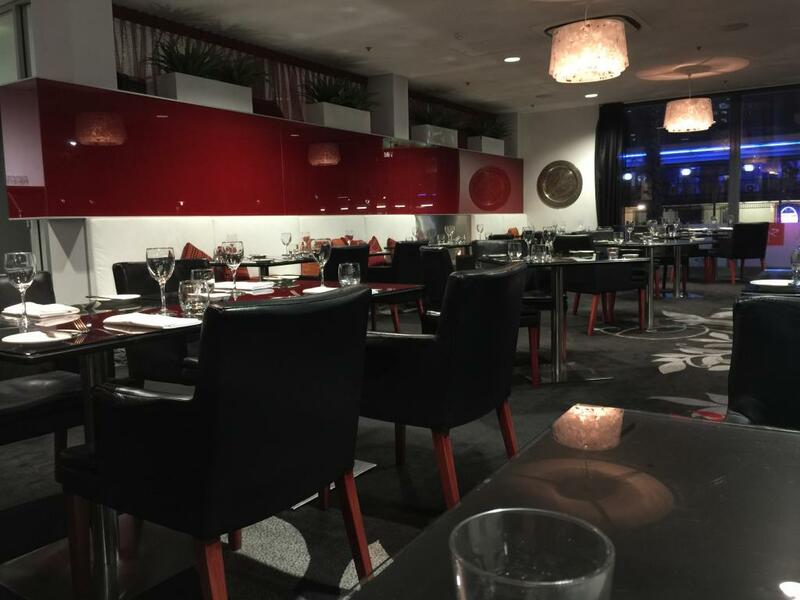 The waitress informs me that mulloway is a very lightly-flavoured fish. I'm not sure if the average person understands this, or would like such bland fish. I'm not a chef, so I don't know what I'd do here, but simply pan-searing this fish doesn't lead to a satisfactory outcome. Not everyone would want these items. 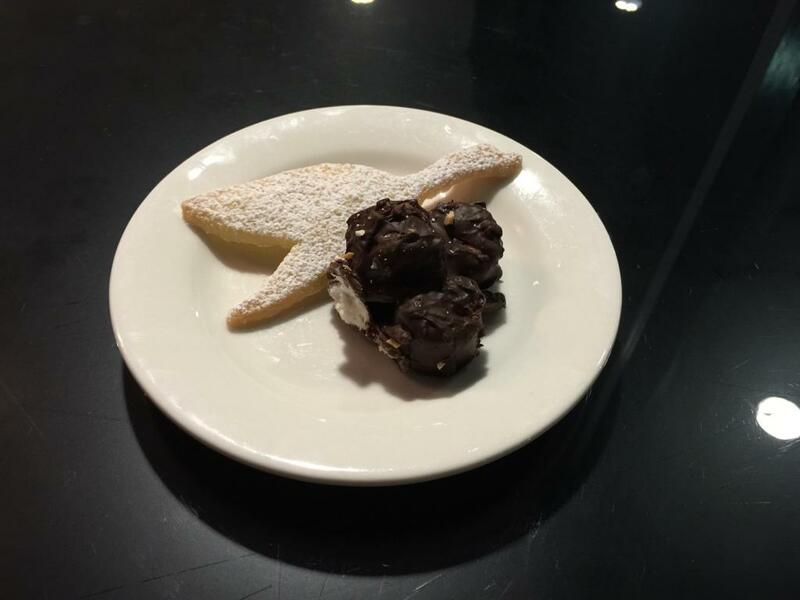 The rocky road has a strong and sweet flavour, and the swan is a very buttery biscuit. With macadamia nut ice cream & chocolate shavings. 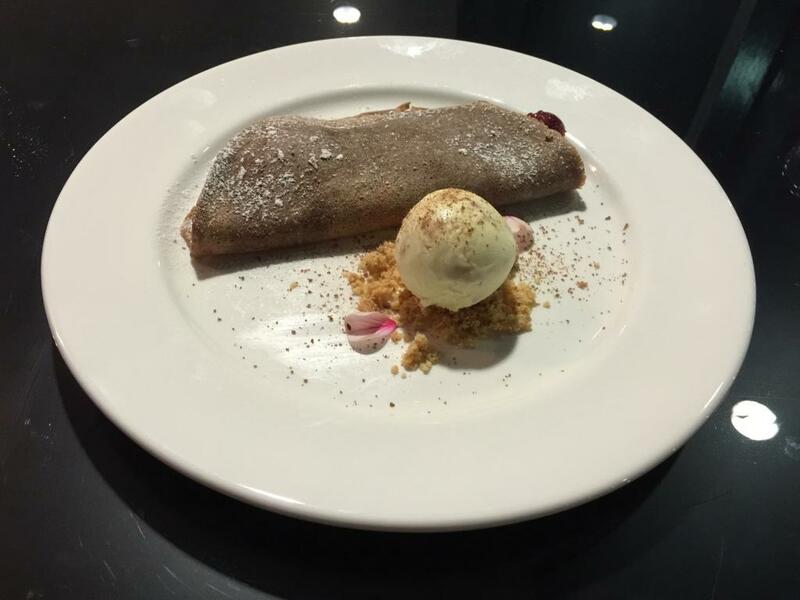 The slightly rubbery pancake here has basically no taste. It just adds texture, and bulks out the dessert. It's filled with preserved cherries. I always like the contrast of berries and cream/ice cream. The pancake here only adds slightly to that experience.